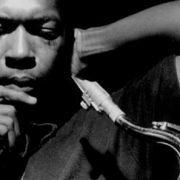 John Coltrane’s Indian music influences will be explored in a concert taking place in Brooklyn on Sept. 23. The John Coltrane Raga Tribute, on Trane’s birthday, features the Indian music collective Brooklyn Raga Massive, who will also perform works by Alice Coltrane and Pharoah Sanders. The event takes place at Pioneer Works, 159 Pioneer St., Red Hook, in Brooklyn, beginning at 8 p.m. The Coltrane Raga Tribute will be followed by the BRM Raga Jam Session until midnight. Price: $10 advance tickets, $15 door. For more information, visit Brooklyn Raga Massive.